If your finances change and you can't keep up with your payments, then you may be pressured into a car repossession. This can hurt your credit immensely, so it's best to refinance or trade in your vehicle. However, one option is better than the other if you want to avoid debt completely. 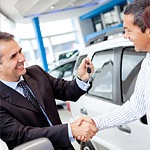 If you trade in your vehicle, you'll likely get a less expensive vehicle that is capable of meeting your budget. However, you need to know the value of the vehicle first. This means that you should get an appraisal. If you trade in your vehicle, you are purchasing the next one with equity from your original vehicle. However, you still have to pay off the car loan, so it's likely that you'll have lower payments. You can also refinance and get a lower interest rate, if your finance company offers the option. It also depends on your current credit score and debt-to-income ratio. You can see your options at Philpott Pre-Owned Super Center.